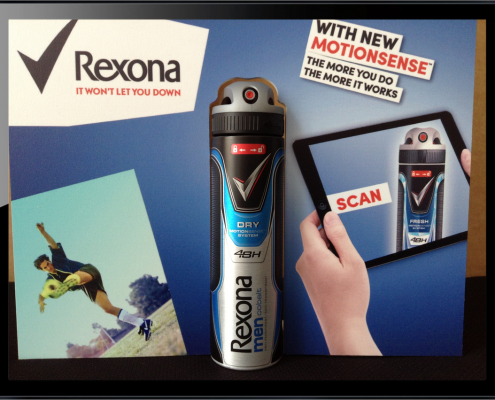 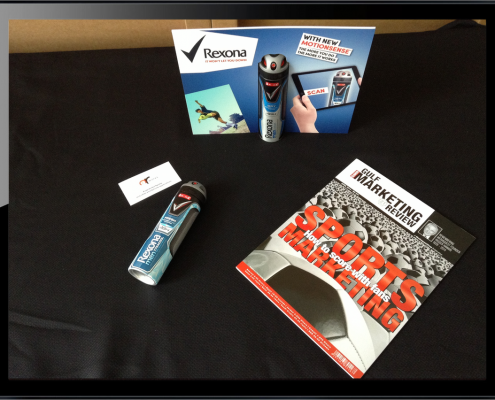 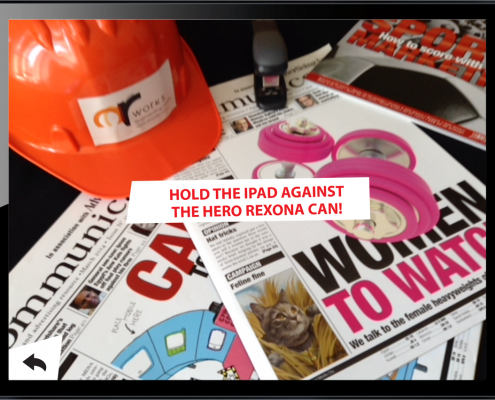 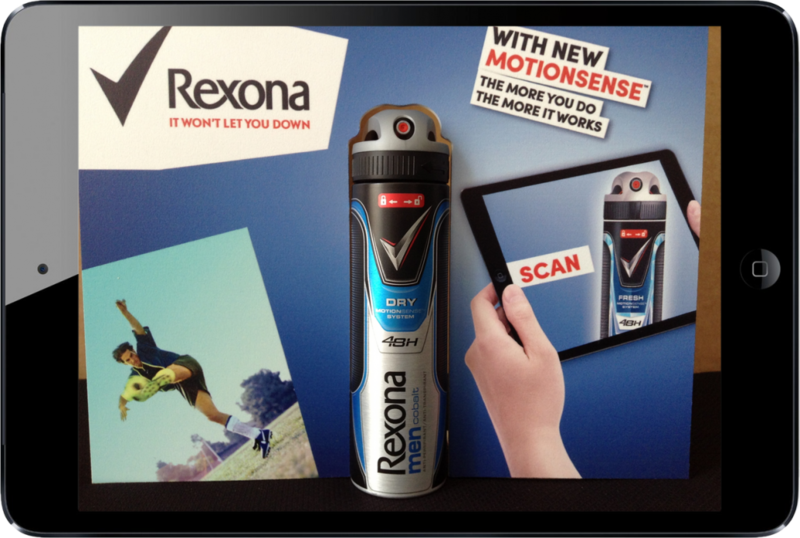 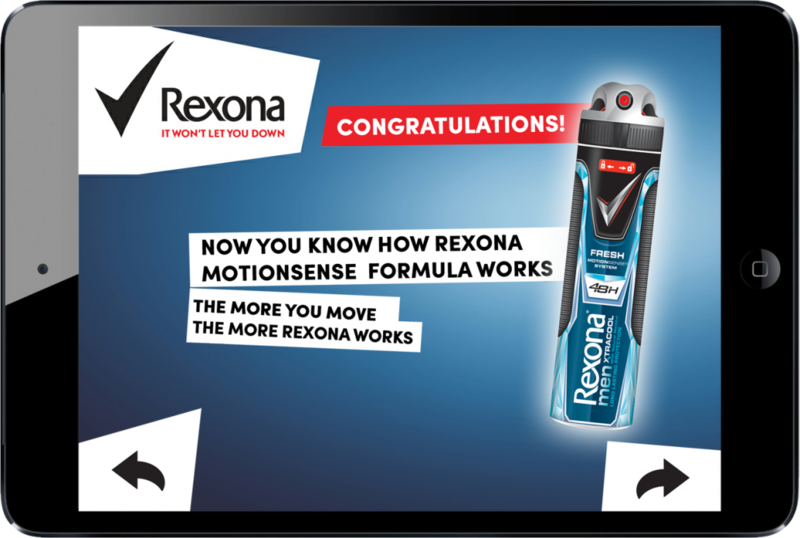 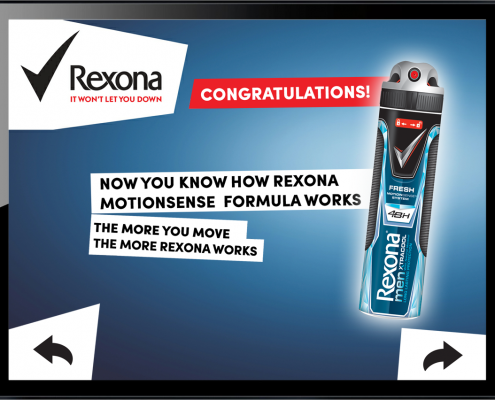 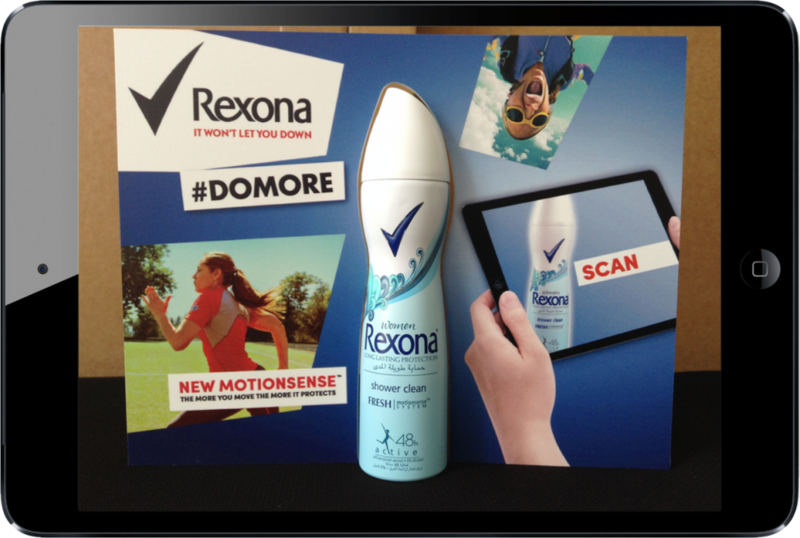 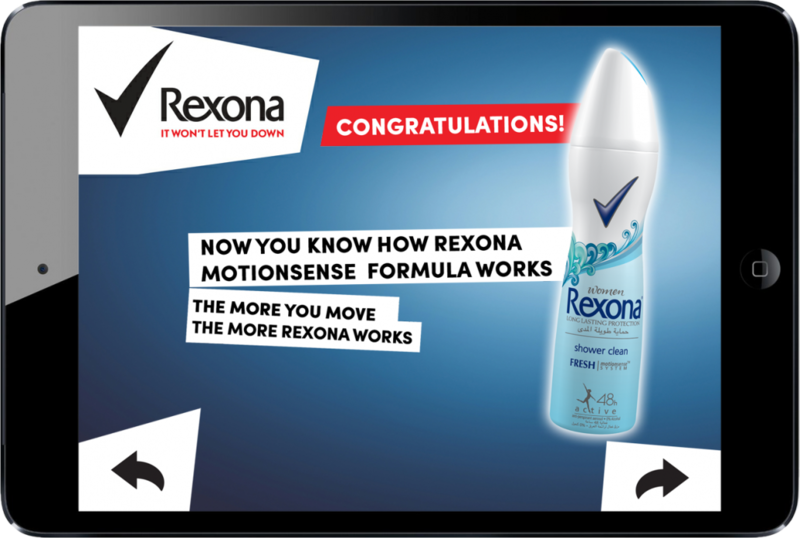 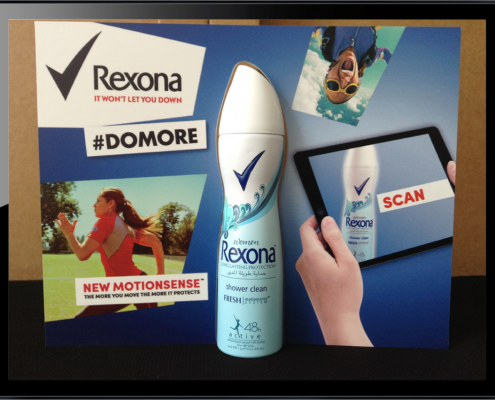 To promote their new product using Motionsense technology, Rexona/Unilever asked us to develop an iPad application which teaches their customers how this new solution works. 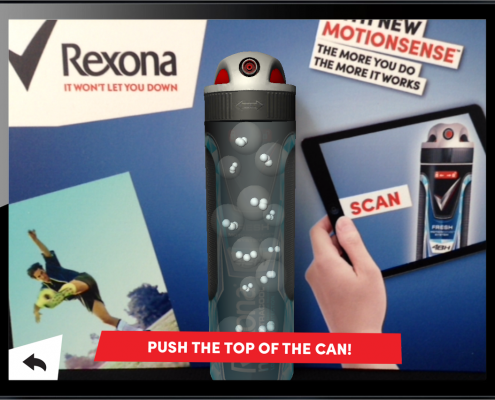 Our idea was to make the can itself becoming transparent with the help of an Augmented Reality App to show the special capsules inside and then give a personal experience on how they work. 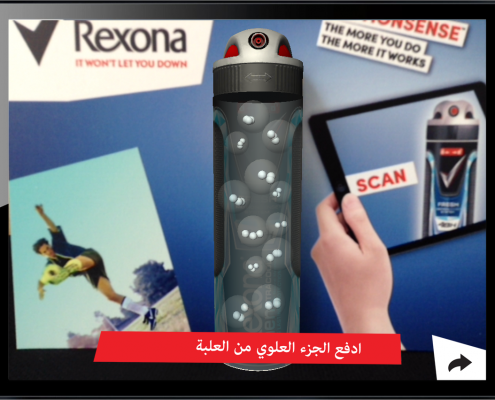 Promoters asked potential customers in hypermarkets to look around with the iPad running the specially developed application. 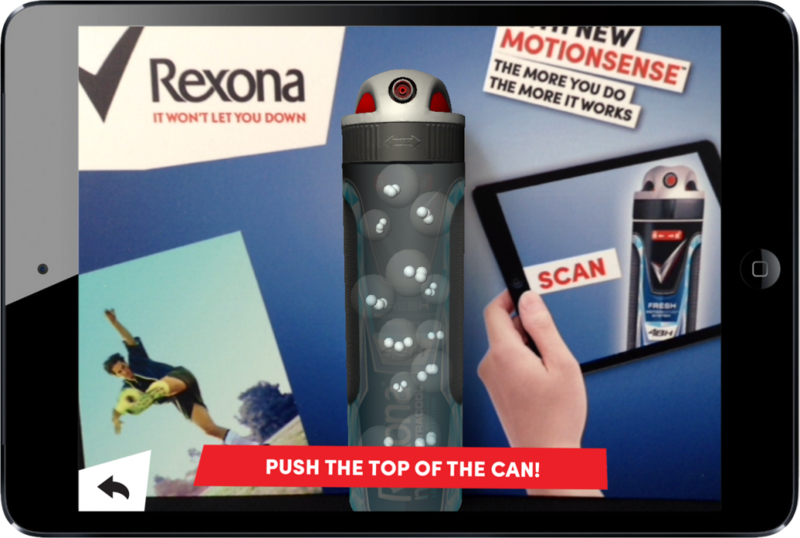 When the users looked on the can, surrounded by a cut-out print, it became transparent, like the iPad would be a handheld X-Ray device and the capsules inside turned visible. 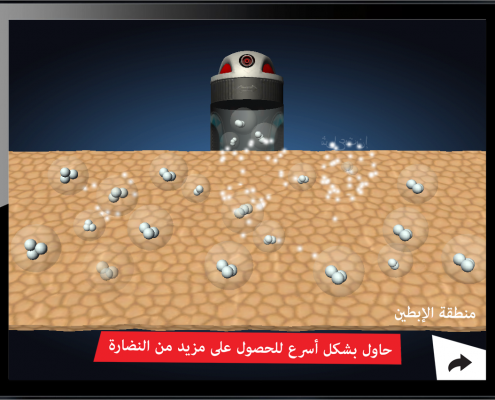 Then the users were asked to push the top of the can on the screen, so capsules were coming out form it in 3D. 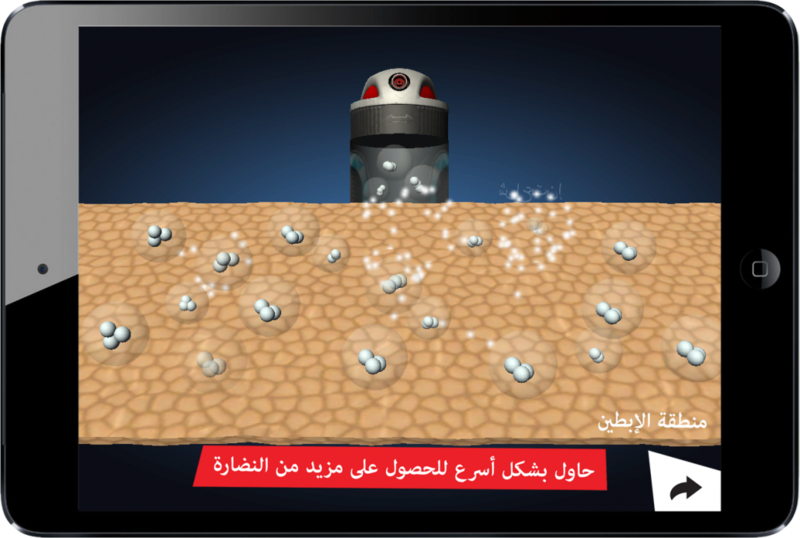 The next step were to shake the device – imitating the movement/friction of our body so the capsules started to burts out their content to prevent sweat. 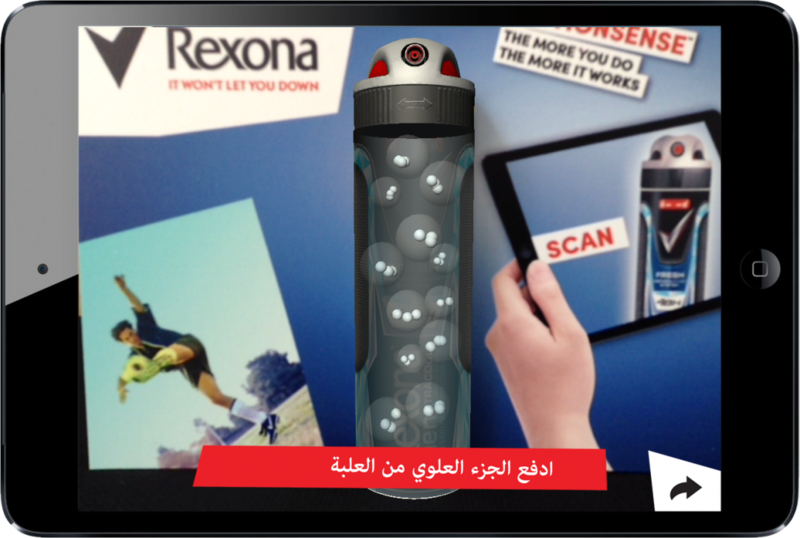 Then, the users were asked to move it even harder to make them understand the core concept of this new technology – the more you move, the more protection you have. The app is running in two languages – Arabic and English – and is used region-wide in the Middle-East. 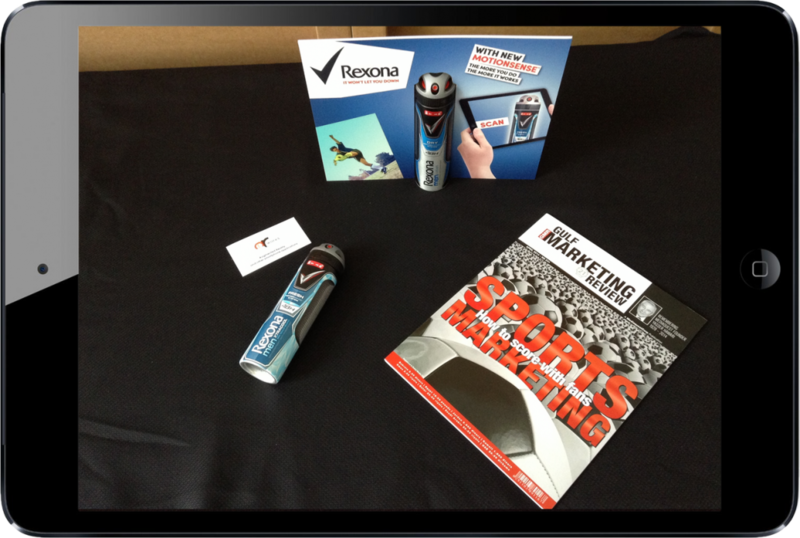 As part of our service, we’ve run the training of the promoters as well, to make sure they perfectly know how the app works. 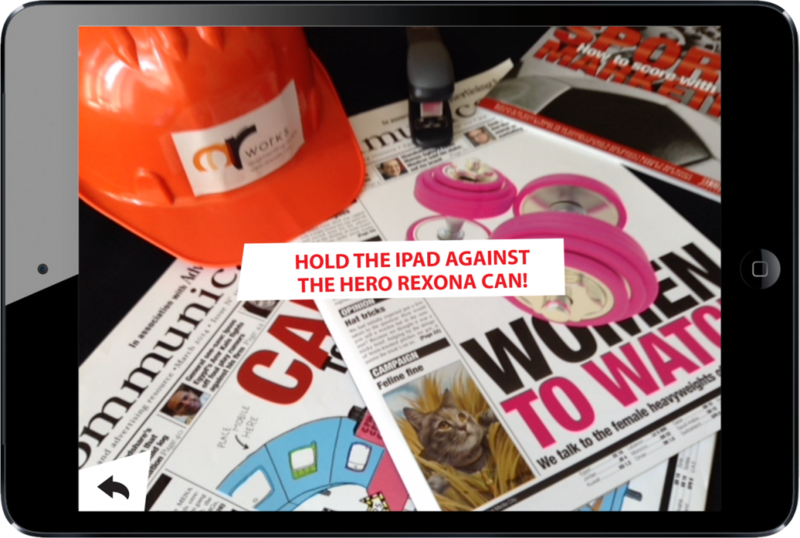 Applications running on tablets have huge potential – they are interactive, they are surprising and engaging and once ready they can be used simultaneously on numerous locations without additional cost.